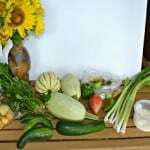 Last week I didn’t have much time to pick up my CSA because I was on my way to a food blogger conference. I hurried over, grabbed my bag, and ran home. I was excited to see homemade bread, sunflowers, pattypan squash, zucchini, cucumbers, green peppers, onion, basil, and dill. The only thing I had time to do before I left was put the sunflowers in a vase. They were beautiful! I tried the bread when I came back home and found it to be a little bland. I toasted it up and it was pretty good with some homemade jam on it. My husband used the cucumber to make cucumber onion salad. Then I used the squash, zucchini, green pepper, onion, and basil in a beautiful garden alfredo that I ended up serving to my husband, my parents, and my great aunt. The pasta was so pretty with all the brightly colored vegetables in it. 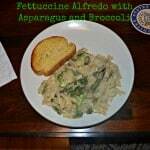 The sauce was a light homemade alfredo that was tasty but not too heavy. 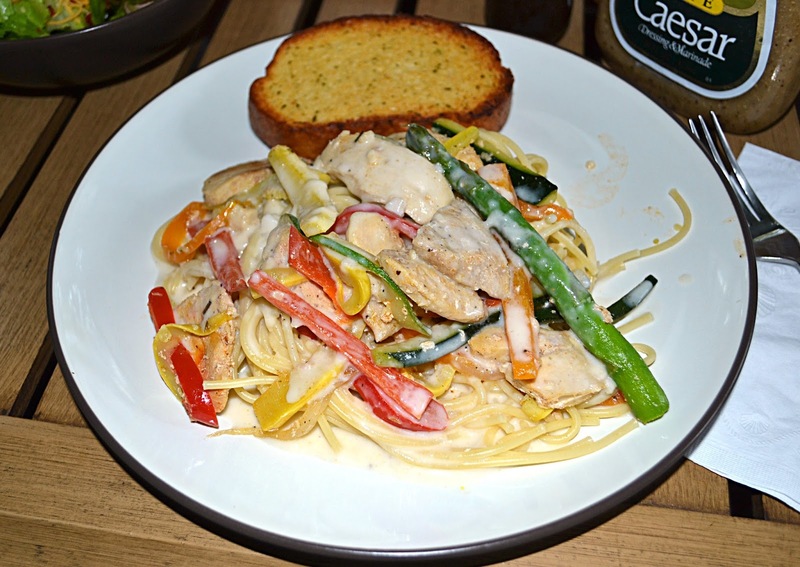 The chicken on top rounded out the dish and made it the perfect one dish meal. I also added in some colorful peppers, a yellow squash I had from last week, and some asparagus. 1. Sprinkle the chicken with the salt, pepper, paprika, and Italian seasonings. Slice into thin strips. 2. Heat a large skillet over medium high heat. Coat with cooking spray. Add the chicken and cook or 7-8 minutes or until cooked through. Remove from pan and cover with foil. 3. Cook the spaghetti according to the package directions. Drain and keep warm. 4. Cut the zucchini and squash in half lengthwise. 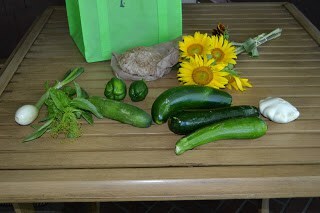 Cut 1/2 inch slices from the outer walls of the zucchini and squash and throw away the middles. Slice the outer walls into thin strips. 5. 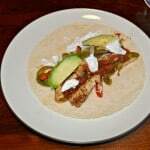 Cut the bell peppers and onion into thin strips. Cut the pattypan squash into small cubes. 6. Heat the olive oil in a large skillet over medium heat. 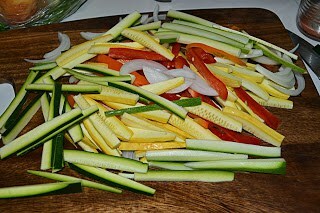 Add in the zucchini, squash, bell peppers, asparagus, pattypan squash, and onion. 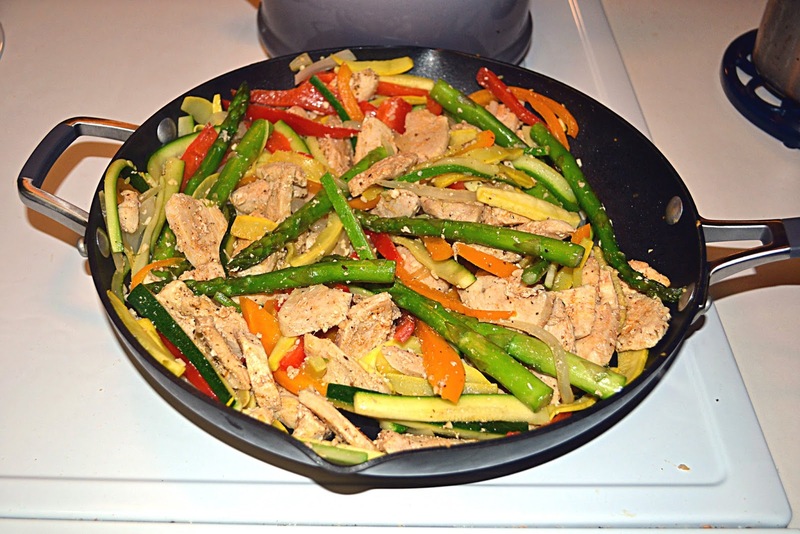 Saute for 5-6 minutes or until the vegetables begin to soften. Add in the garlic and cook for 2 additional minutes. 7. In a medium bowl combine the broth, half and half, and flour. Whisk until smooth. Add to the skillet and heat, stirring occasionally, for 3-4 minutes or until thickened. 8. 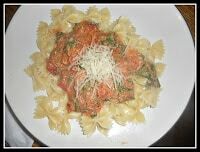 Remove from heat and stir in cheese, basil, and parsley. 9. 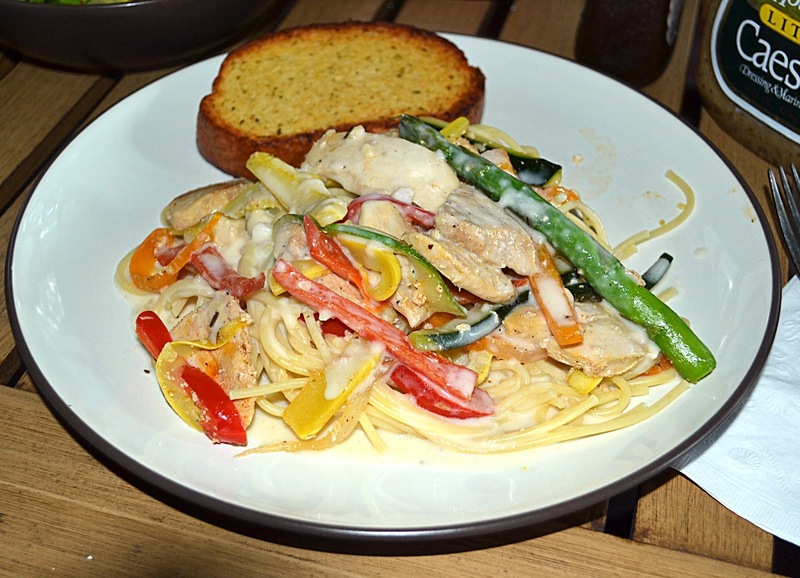 Divide spaghetti among plates, serve with garden alfredo and cooked chicken. This looks like a great way to use up summer veggies! It looks great. I love all of the veggies added.